Even though the IoT (Internet of Things) and Industry 4.0 are related concepts, to say the least, these concepts do not have a precise definition about them. Bryce Barnes from Cisco System has said that IoT means the process by which various smart devices are intelligently connected to one another, and can easily communicate among them, and therefore can change our physical world. Therefore, manufacturing companies are implementing this concept in their factories and shop floors, in order to improve their efficiency and profits. The IoT concept will fundamentally change the industry for the better, and also will revolutionize as well. In the 1800s steam machines changed the industry, in the early 1900s electricity and assembly line changed the industry, in the late 1900s computers changed the industry, and now in the 21st century, IoT will be the revolutionary factor. And thus, the 21st-century industry is called Industry 4.0. This revolutionary change will come in slowly and steadily, as companies start to embrace the technology. 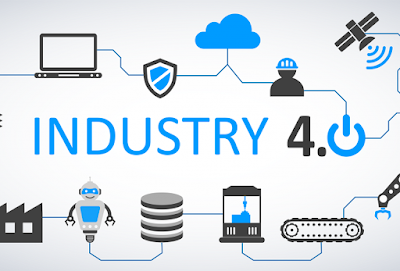 Helping in creating the pathway: IoT will help in creating a pathway for manufacturing equipment to connect to a web-based network and thus provide great benefits. Connecting equipment to shop floors will help in controlling and analyzing the equipment easily, with standards such as MT Connect and OPC-UA. IoT also helps in data collection from the machine equipment. Shop floor will have better and faster decisions to make: Since the machinery equipment(Artmachining) will all be connected to a network, feeding all data to the shop floor, it will help the shop floor to be better at decision making. It will help in improving performance and also achieve strategic objectives as well. Also, real-time updates will aid in better productivity, less wastage of materials and energy and also promote safety. The active role of a human: Even though everything is being automated, humans will still play an active role in the manufacturing department. Humans will help in decision making and therefore help in the betterment for the consumers, the manufacturing entity, the company CEO, etcetera. The major threat of cybersecurity: The industrial IoT is indeed susceptible to cyber threats, and it can lead to data theft, stealing of trade secrets, intellectual properties, etcetera. Therefore, it is the responsibility of the shop floor to take care of all the data that are stored in the cloud or local servers. Good security systems, including the use of firewalls, should be standard for most manufacturing companies. Introduction of new generation sensors: Sensors help in detecting various physical characteristics and conditions, and therefore can control certain aspects like pressure, temperature, vibration levels, etcetera. With the introduction of new sensors, this process will be more efficient, and with the use of WIFI, will also simplify the process. The machinery tools will now be regarded as cyber-physical systems: This is a common term used in the IoT world, which means that the machinery equipment used for laser cutting and their physical processes are now controlled by computers. This closed-loop system will help in better energy management and thus the machinery will also be monitorable and easily manageable as well, through the computer. Data and cloud computing will play an important role: With so much data being generated and processed, you will need the help of the cloud to store such huge data, which can be easily and remotely available from anywhere in the world. This is much more flexible, secure and economical for any manufacturing entity. Apart from that, each CNC machines can be monitored, and if any failure occurs, the remote data can be used to quickly solve the problem.